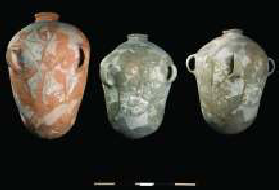 Large jars for storing oil or wine were common in Judah. For 100’s of years, oil and wine were the commodities that were used to pay tribute and taxes. Many storage jars were standardized and may have held 40-50 liters of product. I am curious if the single cruse of oil was of this character. And only one cruse of oil was found which lay with the seal of the High Priest and there was only enough for one day’s lighting. How much oil did the jug contain for one day's lighting? They used a half of a lug of oil in each candle every night, in order that it would last through the longest night of the year (Menachos 88b). A lug is 6 egg volumes. 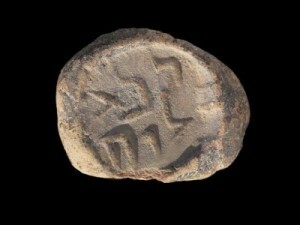 An egg volume is disputed, but it's accepted to be either around 57 (R' Chaim Naeh) or 100 (Chazon Ish) mL. So the volume per candle was about 172 or 294 mL, or about 1200 or 2050 mL total. It contained a half a lug of oil. See Maharsha Chullin 55 and Rivevos Ephraim Chelek 3:460:23. Not the answer you're looking for? Browse other questions tagged chanuka shiurim-measurements oil menorah--in-temple .